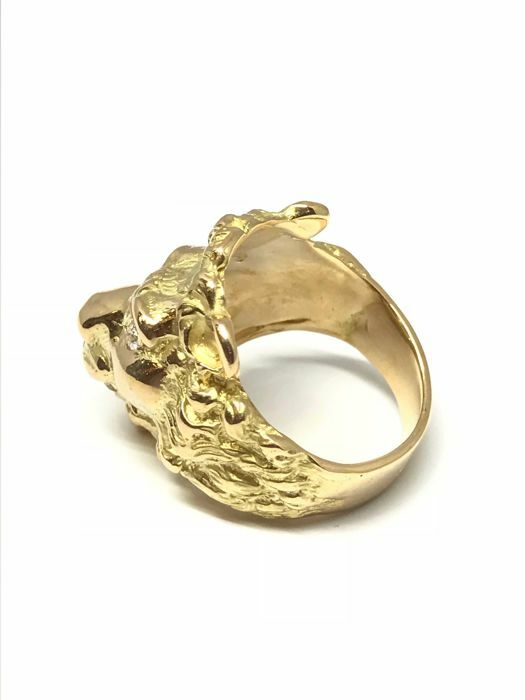 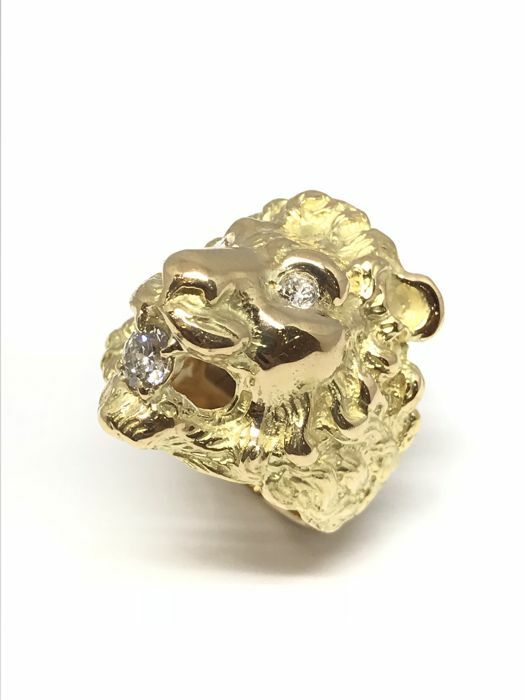 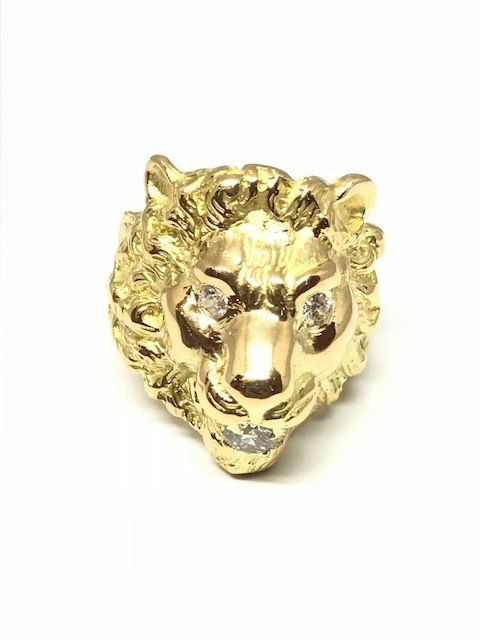 "Lion" ring in 18 kt gold set with 2 0.1 ct diamonds in the eyes and 1 diamond of 0.47 ct in the mouth. 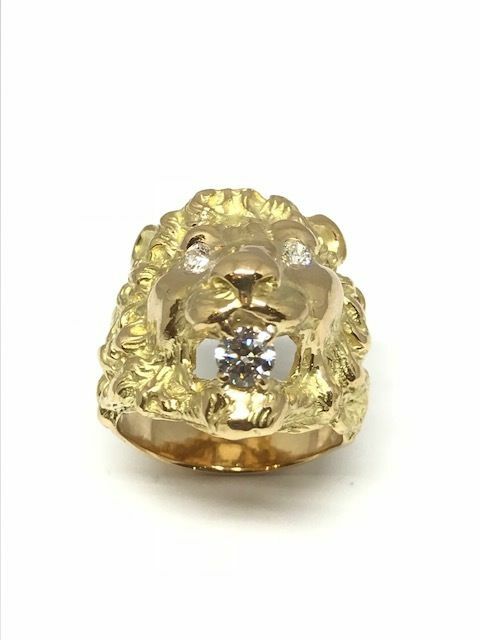 "Lion" ring in 18 kt 750/1000 gold set with 2 0.1 ct diamonds in the eyes and 1 diamond of 0.47 ct in the mouth, colour: K/SI. 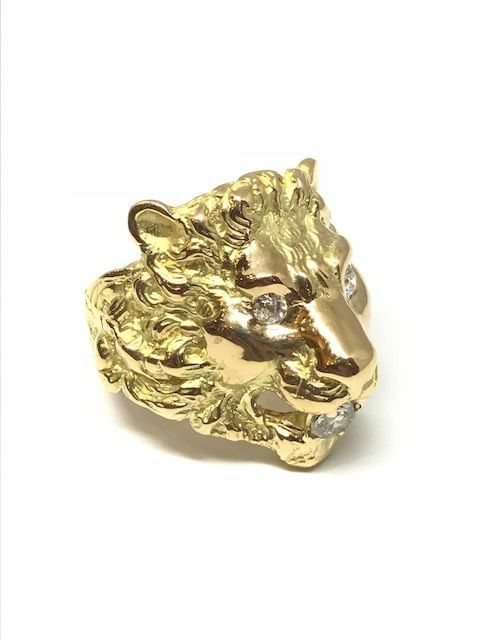 Ring weight 27.45 g Size 65 and free resizing. 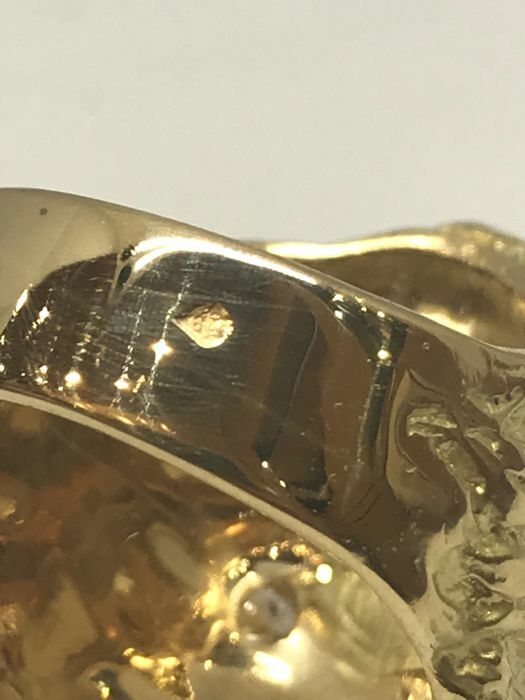 Certificate of authenticity and warranty provided.